Using reliable sources we now know that Harappa Culture flourished between (3500- 1700 BC); taking in account acceptable errors in radio- dating. 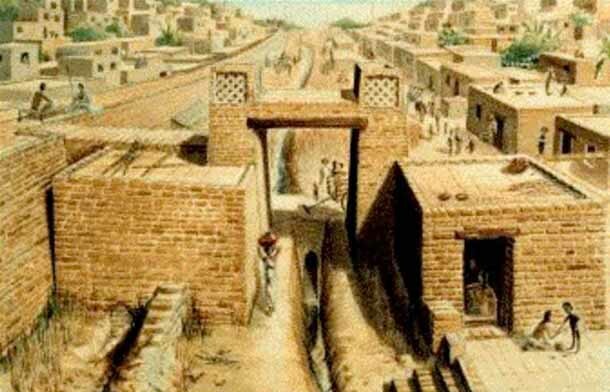 Many modern scholars often use the term Pre- Harappa to club together a multitude of proto- cultures that preceded IVC; extending to 7500 BC. Again, the very use of this terminology, pre- Harappa has done more harm than good. The notion of culture & civilization hard- wired in our psyche involuntarily attaches imageries like: well- planned towns, a thriving economy, swift transportations & a burnished culture. However, in cases as such we can categorically cast off any such perceptions, to be blunt none of these settlements (most of them were small self sustaining centres) qualify as some long lost civilization in want of discovery, in fact they demean the concept of cultures & civilizations. Hunter- gatherer communities found across the sub- continent from North-West; near Soan river to Madhya Pradesh & as far as Kurnool( Andhra Pradesh). Most of these settlements were rock- shelters; sites were located near rivers, a practice that would later give birth to modern civilizations. The perils of hunting & the fear of unknown meant people in this era were pre-occupied with concerns of survival as a consequence art & language was severely stunted. Moreover, continuous migration in search of food meant that survival was the obvious credo of life. It’s a rare phenomenon; when you actually see society transforming & humanity transcending an age; the beginning of an era. The discovery of agriculture in the Fertile- Crescent was to become the harbinger of civilization. From now on people could settle around fertile plains, they needn’t undertake hazardous expeditions in want of food. People could finally grow, store & barter food for other amenities of life (the dawn of proto- mercantile economy). They had ample time to ponder & try comprehend the unknown. Hence the birth of art, culture & religion. This is a departure from Paleolithic & Mesolithic age where art & culture were never central to human existence. It’s also the era where we first see stratification of society; few would control the excess produce of land & majority were forced to toil on land with little trickling down to them. The role of women has increasingly become a case of active mooting in our society today. An interesting fact is that, it was the discovery of agriculture that would finally turn women subservient; no more they were to be the equals of men rather their role was restricted to chores of tending children & laboring on fields. This era is associated with use of Copper & bronze by settlements across subcontinent. This would revolutionize agriculture, thick woods could finally be cut down & put to use. Humanity was to turn the master of their own fate; an unprecedented achievement for any species that walked the face of Earth. The extent of settlements increased, contacts between independent settlements would help in exchange of ideas & hence, both cultural & technological output would exponentially grow. This would turn the precursor for Indus Valley Civilization.